Click on each book for more information. 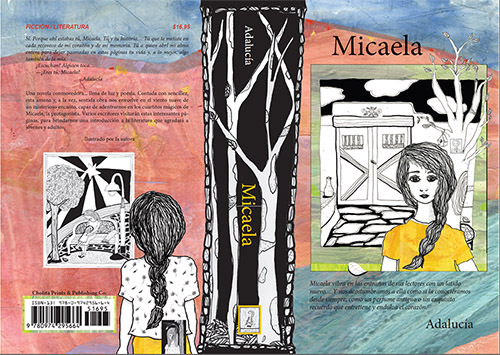 Micaela is a lyrical novel, written in beautiful poetic Spanish. It tells a love story of three generations of women. Micaela, the grand daughter, is at first the narrator and later becomes the main character. The reader is invited to explore four little "rooms" full of memories, the four seasons of Micaela's heart: Summer, Fall, Winter and Spring. This novel is a great educational tool that will be cherished by young and old and will become a classic in homes and schools alike. It shares a message of love and friendship, as well as compassion and hope. 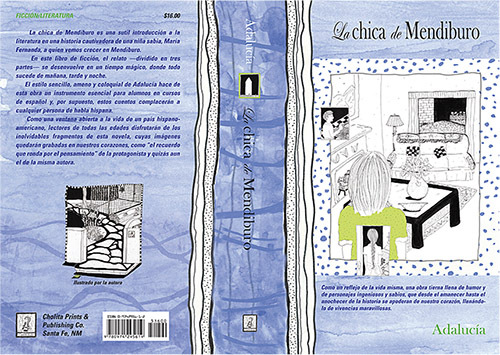 La chica de Mendiburo is a subtle introduction to literature in a captivating story of a bright girl, Maria Fernanda, who lives in Mendiburo (a fictitious town that could belong in any Latin American country.) The novel is divided into three sections: Morning, Afternoon, and Night. The time element is magical. Adalucia's simple, yet fun and colloquial style makes this book an essential tool, helpful to students in Spanish classes. These stories will surely please native speakers, as well. Lucas is back from a visit to his dentist. He is happy everything went well. All of a sudden, his Tooth Fairy friend notices a tear on his goody bag. Oh no! Lucas has lost something long and almost magical! What could it be? This fun and educational book will delight children of all ages. In addition, readers will be exposed to some Spanish words. Little ones will love the colorful and detailed illustrations, and the colloquial language they are familiar with. 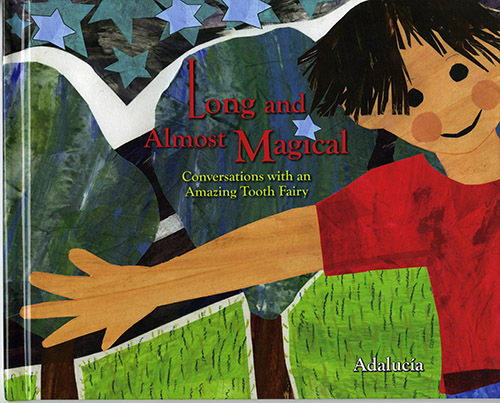 Long and Almost Magical is sure to become a classic in homes, schools and dental offices alike. Micaela wants to write her poems in Spanish and also in English. She needs to find the right words, and her grandma Merceditas gives her a simple but useful tip. Bright and colorful illustrations convey Micaela's magic world of poetry. 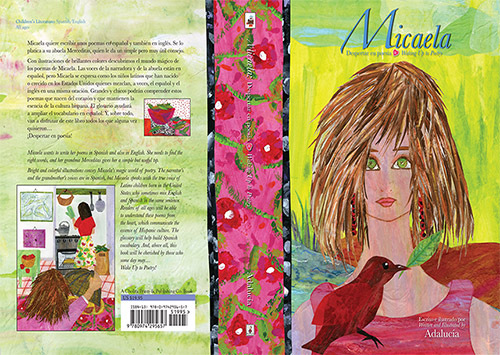 The narrator's and the grandmother's voices are in Spanish, but Micaela speaks with the true voice of Latino children born in the United States who sometimes mix English and Spanish in the same sentence. Readers of all ages will be able to understand these poems from the heart. The Song of the Coconut will take you to Kiko's beach. 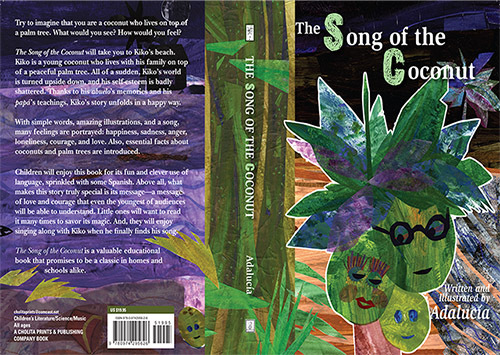 Kiko is a young coconut who lives with his family on top of a peaceful palm tree. All of a sudden, Kiko's world is turned upside down, and his self-esteem is badly shattered. Thanks to his abuelo's memories and his papa's teachings, Kiko's story unfolds in a happy way. With simple words, amazing illustrations, and a song, many feelings are portrayed: happiness, sadness, anger, loneliness, courage, and love. Also, essential facts about coconuts and palm trees are introduced. Readers of all ages will gain knowledge about this almost magical material called clay. Throughout this colorful book the pages portray the love and respect the author/illustrator has for the material. 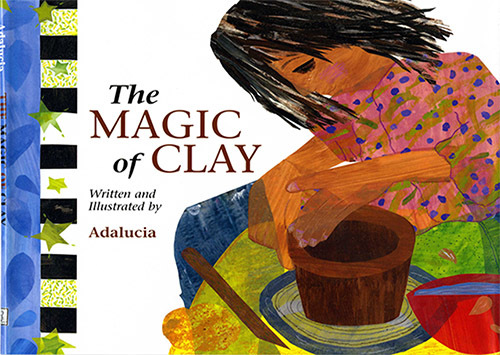 The Magic of Clay is not only a teaching tool that will be welcomed by clay artists and educators, but this book really inspires its readers to want to work with clay. Its simple language helps beginners understand basic facts and the wonderful illustrations make complex concepts interesting and easy to comprehend. What if you had been there that wonderful night when God sent the birthday gift to Jesus- el regalo tan lindo? Jesus' Birthday Gift is a gift for you too. You will travel with Mary, Joseph and the burrito on the difficult trip to Bethlehem. Experience their difficulties... Pobrecita Mary...Pobrecito Joseph. You will see the door shut in their faces. You will see the little Child and witness the miracle of that blessed night-God's gift para Su Niñito. You will find a great miracle in this gift that is also meant for you. How can you hold on to it..? And what if you lose it...? Children and adults will love this book for its special message. Its simple language is sprinkled with Spanish, and colorful illustrations complement the beautiful text. 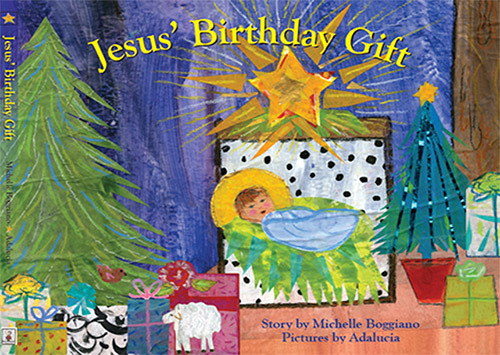 Jesus' Birthday Gift is a story that has changed hearts wherever it is told. It is a valuable Religious Education Book that will become a classic in your home, Bible school and everywhere it is read. © Cholita Prints &AMP; Publishing Company. All rights reserved.